December – God came to Earth so we could go to Heaven. 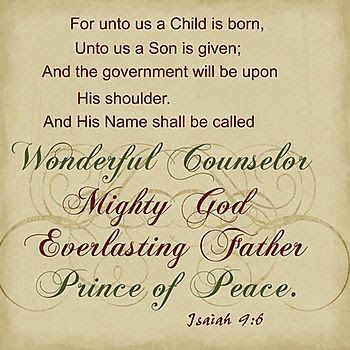 This is the month we celebrate the birth of our Savior, Jesus Christ. John 3:16 For God so loved the World, that He gave his only begotten Son, that whosoever believeth in Him should not perish, but have everlasting Life. It is absolutely mindblowing to me that the Amazing God who created the universe, and Who has all things under His control would lay aside His glory and majesty and come to Earth as a baby. He loved us humans so much He was willing to make the sacrifice. He was the perfect God-Man, completely sinless. He came with the express purpose of dying on the cross for our sins. He was the only one who could pay that awful price for us! Because of the sin of Adam and Eve in the Garden of Eden, every one of us is born a sinner. We have broken the law of God. We are separated from the Perfect Holy God who cannot look on sin. Yet Jesus loved us so much He was willing to take the punishment we deserved and make a way, through His shed blood, for us to be reconciled to the Father God. He has offered forgiveness to us as a free gift, the perfect Gift!! If you have never received this free gift, all you need to do is call on Jesus’ name, confess your sins and ask Him to be your Savior!! He will accept you and make you His child. This month my special treasure is Sophie Smith. Sophie is 10 years old and in 5th grade. She was born two days after her cousin, Ridge, in Brush Prairie, WA. Made it hard for Nana and Papa to be in two places at once. Sophie now lives in Heber City, UT. She likes school and does well in her classes. She is a deep thinker and very loyal to family and friends. We are proud of our sweet Sophie!